One of the best things you can do for those you care about (and yourself!) is to help them become and stay healthier. Whether they are family members or friends, their health will have an impact on your life. Your support and encouragement can make a big difference on theirs. Even better, exercising together can help keep both of you on track, leading to greater and longer-lasting results! Due to popular demand, we've been busy working on making this easier. You can now buy OMW account upgrades as gifts for anyone with an email address. 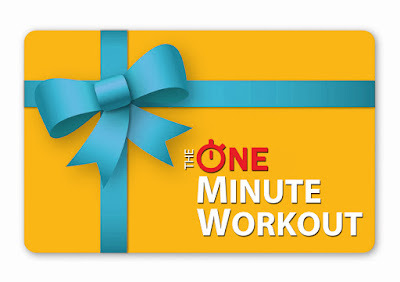 Just head over to www.oneminworkout.com/gift and fill out the form. Complete your gift purchase and we'll electronically send your gift to the recipient's email.